The white and green frosted glass facade is non-transparent to the outside and forms interlocking geometries. 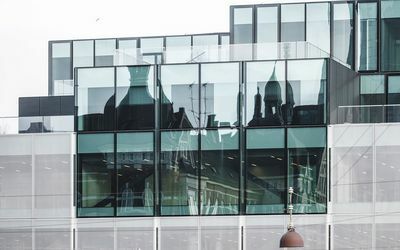 An abundance of glass – in stark contrast to the surrounding historical old town district of Copenhagen with red clinker facades that are typical to Denmark. 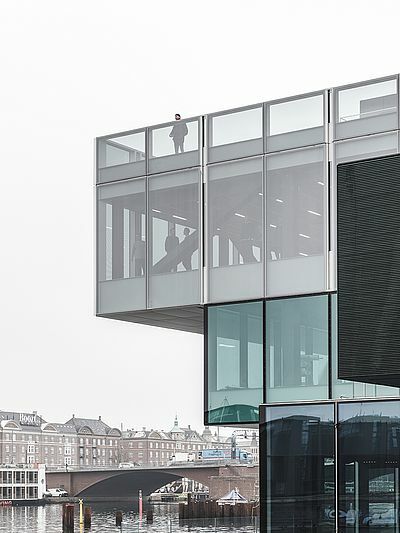 OMA, the studio of the Dutch architect Rem Koolhaas, designed the Blox. 27,000 square metres on five storeys above and below ground. The white and green frosted glass facade is non-transparent to the outside and forms interlocking geometries. 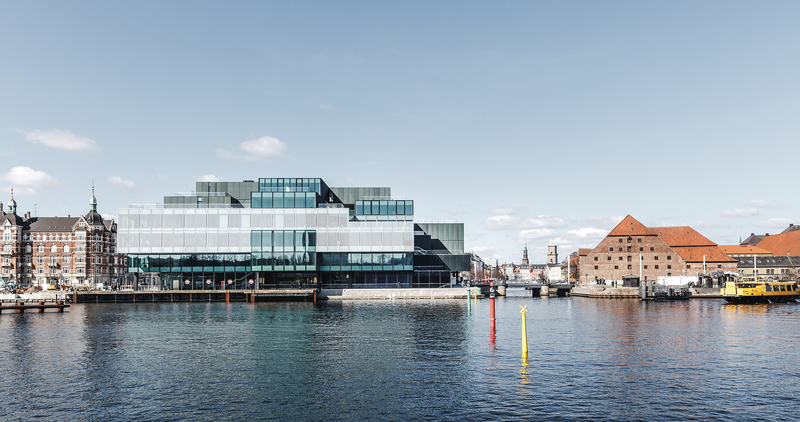 An abundance of glass – in stark contrast to the surrounding historical old town district of Copenhagen with red clinker facades that are typical to Denmark. 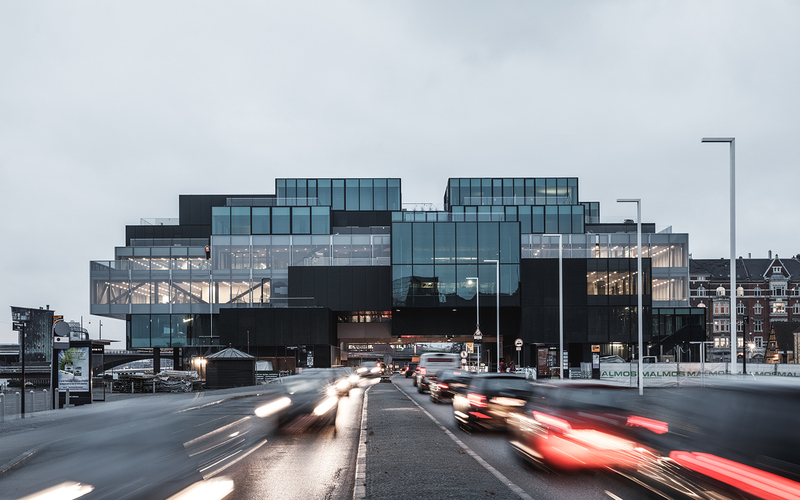 The building is a mixture of architecture and design centre, workplaces in a network for urban renewal, rented apartments, children's playground, fitness studio, restaurants and fully automated underground car park. 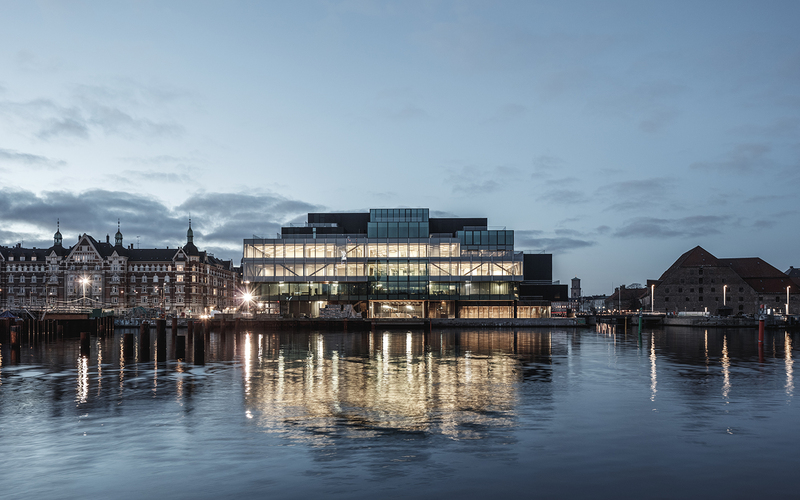 This is a building which is designed to reflect every aspect of urban living, explained the press officer of the DAC. The motivation of the Realdania foundation, Denmarks biggest private investor and sponsor of the Blox "We want to breathe life into what up till now has been a lifeless place" has transformed the harbour from a deserted ship mooring point to an inner city experience. 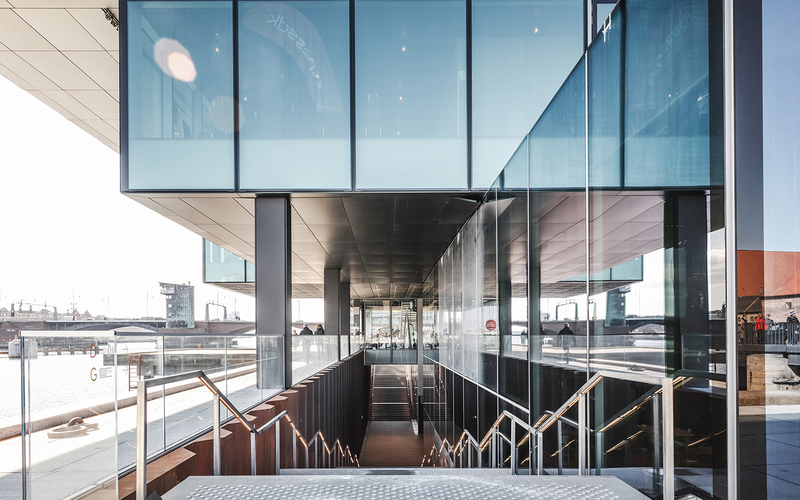 A 'curiosity': the building was built over the busiest access road in Copenhagen.